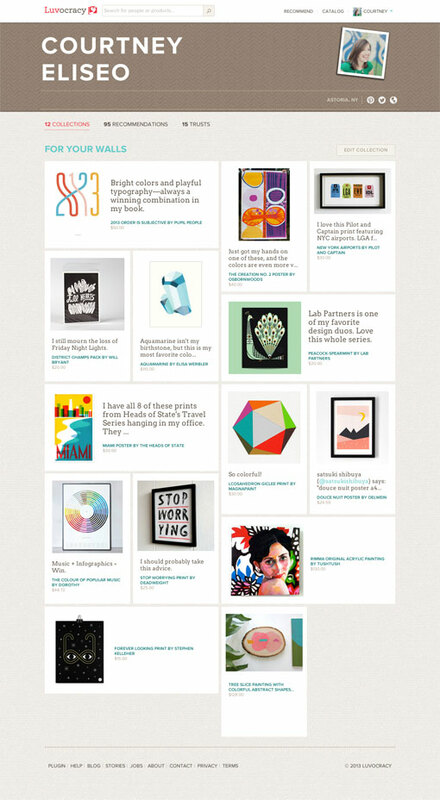 Yesterday we talked visual inspiration apps. Today we’re going in a totally different direction: shopping. 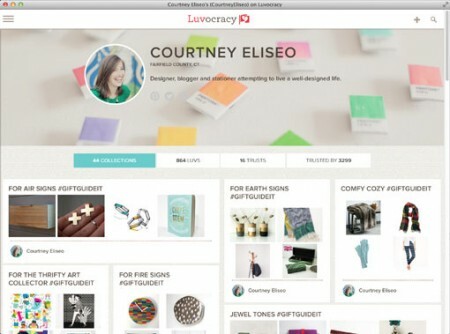 Luvocracy is a relatively new social shopping site where you can post finds from shops around the web and organize them into thematic collections. It’s very much a social space—the idea is that you follow people whose taste you admire, so that you can discover awesome products that are right up your alley. The result of following those you trust is a continually updated catalog that is personalized just for you, according to your taste. 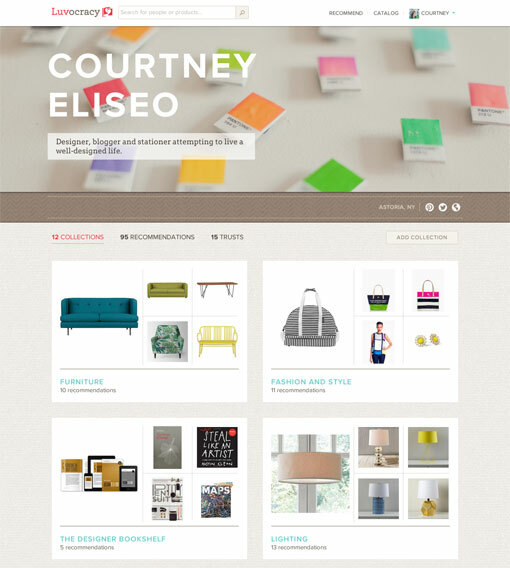 It’s beautifully designed and fun to browse, and I especially love getting personal recommendations from tastemakers I wouldn’t otherwise be able to connect with. 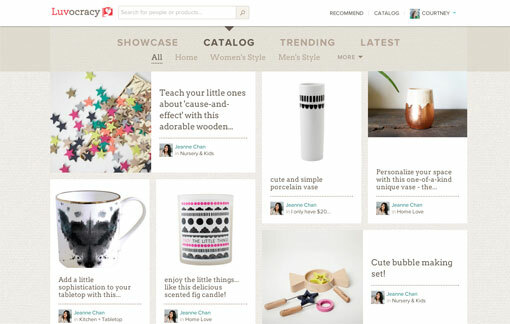 It is similar to Pinterest in that you are posting and sharing recommendations with followers. The difference is that this is entirely focused on products, and you also have the ability to purchase items directly through the site. When you sign up, you will also be able to create your own collections, share items you love, and invite your friends to join via Facebook or email. As a bonus, you’ll also earn rewards from any purchases through your pages, and whenever your invitees make purchases on the site during the first year. The greatest part is they do all of the work for you. 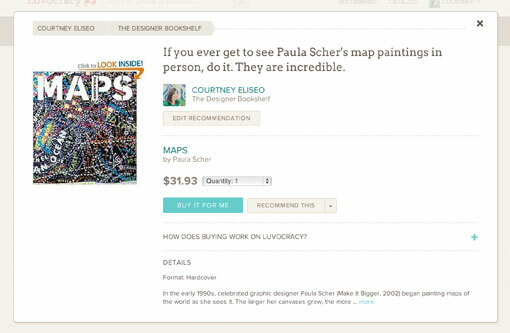 When you make a purchase through Luvocracy, they then buy the item directly from the seller on your behalf. You put your credit card information once, and that will cover you any time you want to shop through the app—minimal clicks. Plus, they’ll also take care of returns. So far I’ve enjoyed using the app, since I do a lot of shopping online already, and this just makes it all the more fun. I think they still have some kinks to work out with the retailer side of things, but I’m definitely interested to see where it goes. So if I’ve convinced you, you can go ahead and sign up to request an invite directly through me, which will speed up the process. Still not sure? 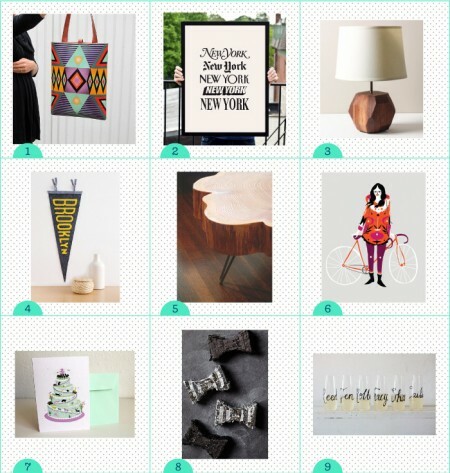 You can get a quick look at all the items I’ve posted so far on my new Luvocracy Love board on Pinterest. And be sure to check out Stories, where the Luvocracy team posts profiles of people who are currently active on the site. 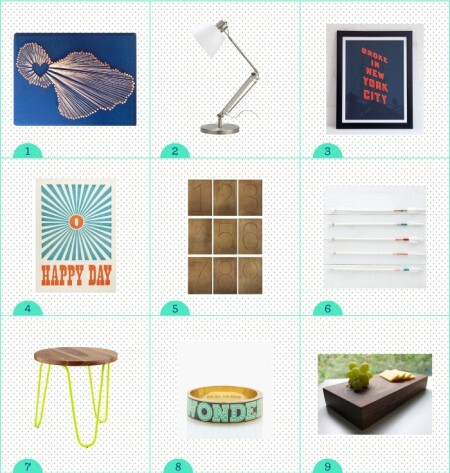 It will give you a great idea of the type of things you can find within the app. How do you use your credit on Luvacrocy instead giving them your billing information?